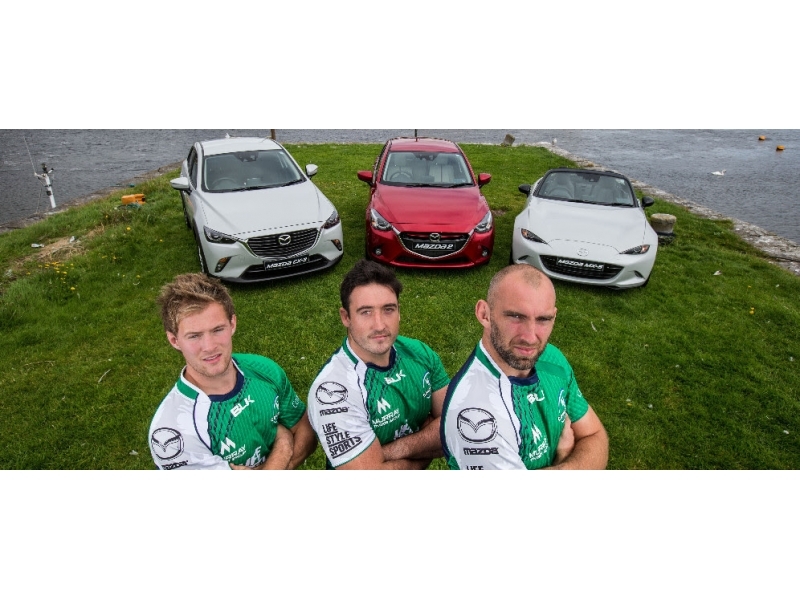 Welcome to the Mazda Rugby roadshow for 2015 taking place in Buccaneers RFC on Sunday the 8th of November from 10:45am, it’s great to have you and the Tullamore U12’s on board. We will have 4 Connacht Rugby stars down to go through a range of skills and drills with the players and we will also have 1-2 friendly rugby matches. Now this day is not just about the kids getting to play rugby and meet some of Irelands top players, it’s also about us getting mums and dads down into the cars for a test drive. For so many people this is an ideal chance to go do one because they just don’t get the time during the week. I need you, as the coach/POC to encourage as many parents to come down for the event. so there will be plenty of parking and space for you all. As The team coach you will need to manage your players, this is something that each of you do already, but just to re-enforce it. Once all team numbers are confirmed I’ll send out an exact schedule of the day with the running order for the drills and matches. During the day I’ll need you to listen to the horn to signal a change in drill or game please. Each section lasts 20 minutes, so you need to keep moving around your drills/get to your match pitch quickly. One additional role, which in most cases you performed anyway, is that you act as a coaches aid for the Connacht Players. Each Player will be assigned a specific drill that will be coached by them, what I need you to do is just help out with the running of it at each drill (I’ll send these drills out with the timetable). If you have any questions please don’t hesitate to contact me, all my details are below.